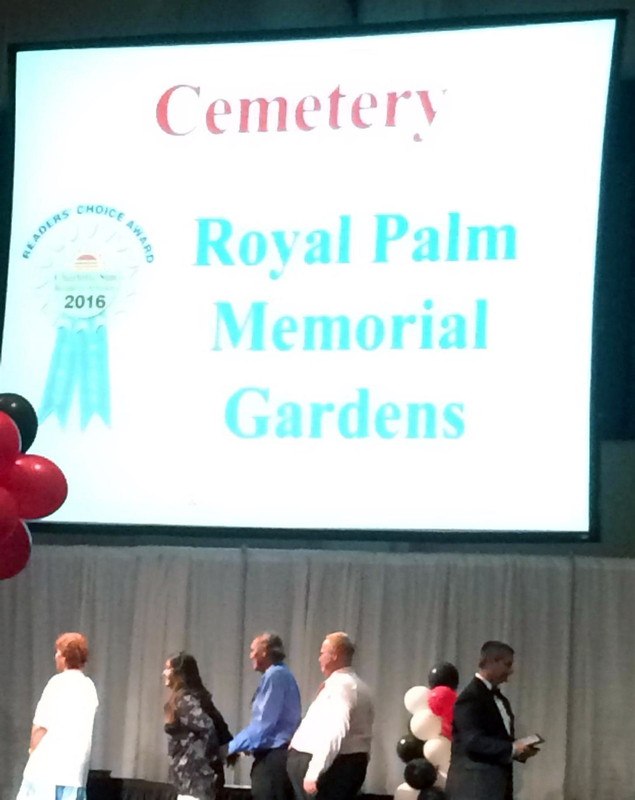 We are happy to announce Royal Palm Memorial Gardens won the Charlotte Sun’s 2016 Best of Charlotte County People’s Choice Awards in the Cemetery category. Follow Royal Palm on Facebook and Google+ for more information about the award. 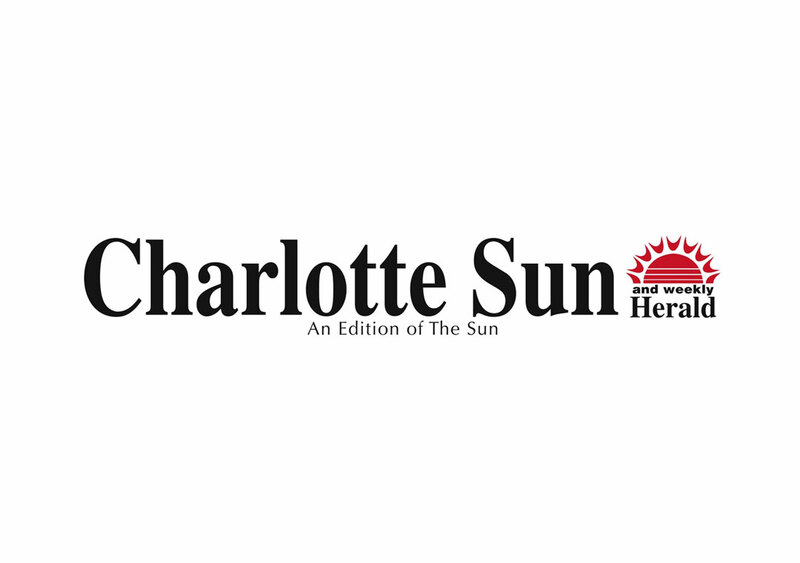 In June of every year the Charlotte Sun publishes their voting ballot. Readers are asked to vote for their favorite local company in each category. It’s distributed to all of the Sun’s Newspaper home subscribers. They either mail in their ballots or stop by the Sun’s office and drop of the ballots. All votes are tallied and the First Place and Finalist winners are announced at a banquet which is celebrated in October. 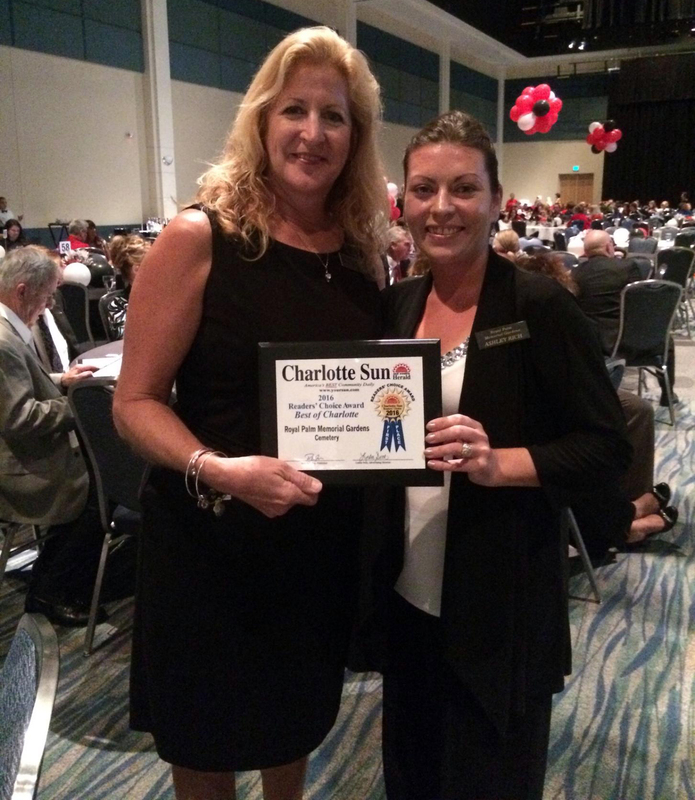 The winners are also published in a Readers Choice Winners edition in October.